In recent decades, cities around the world have awakened to the new paradigm of sustainable development, where the new frontier is the occupation of vacant spaces. Within this context, the reuse of old industrial and port areas is taking on new purposes for cities. The regeneration of these spaces, with intensification and blending of their uses, can produce sustainable urban spaces that boost quality of life. focus on the power and quality of images and the adequacy of urbanistic and environmental projects. 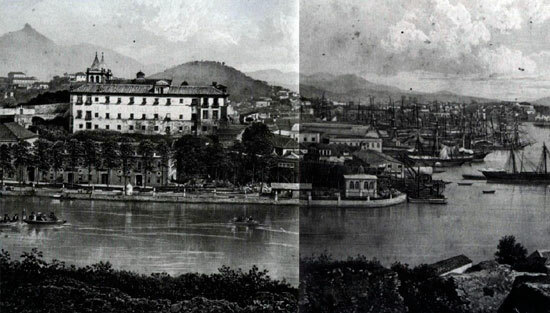 The Port Region in Rio de Janeiro, one of the city's oldest areas, played a fundamental role in the metropolis's economic and social development. It was, and continues to be, a strategic location. Transformed into the capital of the colony in 1763, Rio de Janeiro took great strides, with considerable increases in the circulation of wealth, allowing the city to grow at an unprecedented rate. 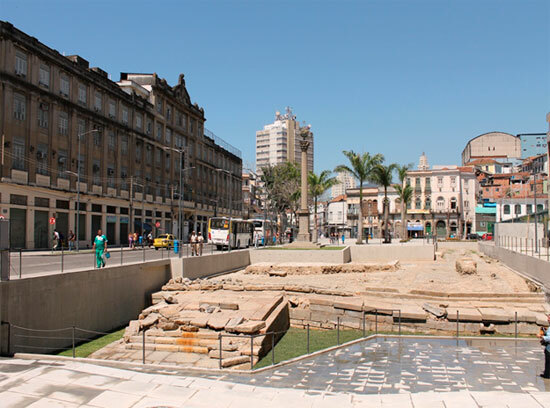 Commercial and port activities flourished and gained greater importance with the transfer of the slave trade from the area of the Paço Imperial (Imperial Palace), now Praça XV, to Valongo, which would go on to become the largest slave market in the world. The new economic advances unleashed a systematic occupation of this coastal strip. Due to its ideal conditions - with its gentle hillsides and coves that offered better shelter than those around Castelo - urban constructions expanded rapidly in the area during the 18th century. Thus, Rio de Janeiro stepped into the 19th century as one of the most important cities in the Portuguese colonial empire. It was the seat of the Viceroyalty of and the main trading post between the colony and metropole. The arrival of the royal family and the opening of the ports to friendly nations in 1808 further intensified the occupation of the neighborhoods of Saúde, Santo Cristo and Gamboa, which were linked to port activities. 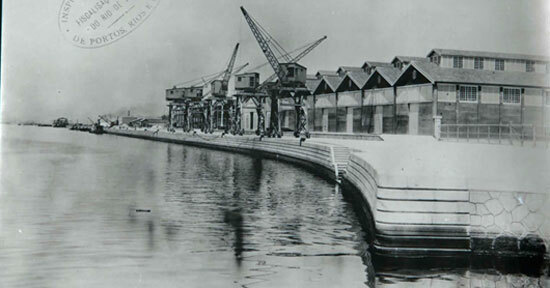 The more recent configuration of the port area dates back to the urban renewal carried out by Mayor Pereira Passos at the beginning of the 20th century. A 1- million-square-meter landfill was constructed in order to expand and modernize the pier, with plans for areas to build warehouses and industries. In 1960, with the creation of the State of Guanabara, two important works were carried out in the Port Region: the Perimetral Highway and the extension of the Catumbi-Laranjeiras Tunnel until Av. Rodrigues Alves, the so-called Lilás Line. Each of these transformations left their mark upon our history. Much of Brazil's African heritage, and that of immigrants from around the world, stemmed from this region. A setting for social struggles and cultural events, a stage for great figures, it is a unique part of Rio de Janeiro and Brazil. Its streets, houses and churches reveal much about the formation and maturing of our identity - the building of the Brazilian nation. The port area of the city of Rio de Janeiro has become greatly degraded, to the detriment of the population that lives and works there. The reduction in port activities dried up the economy and the construction of the Perimetral Highway converted the area into a passageway. Over the last decades, it has been placed on the back burner, despite its strategic location and immense historical and cultural value, which were recognized with the creation, in 1987, of the Cultural Environment Protection Area for the Saúde, Gamboa and Santo Cristo Neighborhoods (Portuguese acronym: APA SAGAS). The growing number of abandoned and decrepit buildings of architectural value, the malfunctioning sewage and drainage network, and problems with public lighting compose the panorama that the region's residents, workers and users must contend with. Porto Maravilha is returning a historical treasure to Rio, and at the same time integrating areas with great housing, cultural and economic potential, which will be transformed into an example of modernity. The neighborhoods of Saúde, Gamboa and Santo Cristo, and part of the downtown districts Cidade Nova, São Cristóvão and Caju are undergoing a revolutionary phase of resumed social and economic development. New conditions for work, housing, transportation, culture and leisure mark the strategic conception of the urban operation as a starting point to increase the current population of 28 thousand residents to 100 thousand in 2020. The revitalization of the port area in Rio de Janeiro will reintegrate it with the city center as an example of sustainable urban development and productive social inclusion. 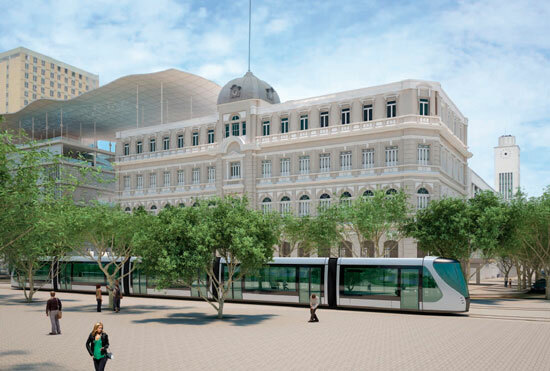 Enhancing the value of the patrimony and the implementation of new cultural facilities will make it one of the most attractive areas of the city. The Porto Maravilha Urban Operation is a planned and innovative way to (re)build the city. An initiative of the City of Rio de Janeiro, with state and federal government support, the redevelopment restores the importance of this 5-million-square-meter area. Porto Maravilha is a costly operation, entailing R$ 8 billion over 15 years, without the use of municipal treasury funds. The initial interventions have already restored to the city genuine archaeological treasures, such as the rediscovery of the Valongo Pier. Since the changes underway have not occurred in the city for a long time, a taste for controversy has been rekindled, with the debate about the demolition of the Perimetral Highway and the confusion that works of this magnitude create in regards to traffic conditions. Porto Maravilha has come on the scene to record all these different actions and establish another channel of communication and transparency for sharing this story of transformation with every citizen. Who is managing the operation? Created by Municipal Complementary Law 101/2009, the Porto Maravilha Urban Operation is managed by the Rio de Janeiro Port Region Urban Development Company (Cdurp), established by Complementary Law 102, in 2009. Cdurp is in charge of orchestrating actions to integrate and enable urban areas with the aim of giving everyone the right to a sustainable city. What is an Urban Operation in Consortium? It is a tool for urban policy to stimulate the upgrading of degraded areas. A municipal law authorizes the change in the potential use of construction in the region through financial offsets by the interested parties. The values raised should be invested in the area's urban upgrading. CEPAC is an acronym to describe the name, in Portuguese, of Certificates of Additional Construction Potential, that is, titles used to finance Urban Operations in Consortium, which recover degraded areas in the cities. 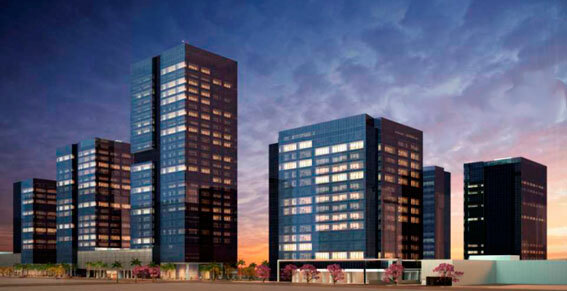 The construction potential is the quantity of square meters that can be constructed on a given piece of land, represented in the square meters of area contained in the building's height and number of floors. The law that creates the Porto Maravilha Urban Operation defines a potential increase of construction, which varies according to the sector (see map below). 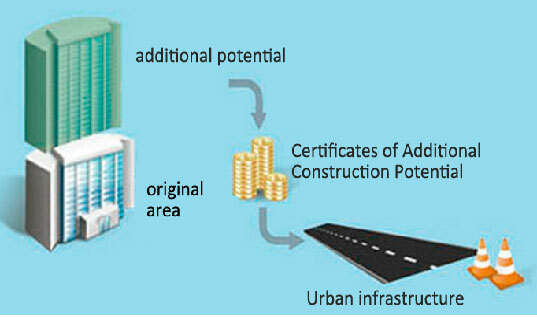 To use the Additional Construction Potential the interested parties should purchase Cepacs. The money raised by the sale of Cepacs pays for all the works and services of the Porto Maravilha Urban Operation in the 5 million square meters. In this way, the city does not outlay money for the works and also economizes on public services. The quantity of Cepacs of each undertaking varies with the location of the project and type of use. Fewer Cepacs are needed for residential properties than for nonresidential ones. In certain areas, the difference in quantity can vary as much as 50%. This encourages a mixed occupation while increasing the number of inhabitants. The preserved areas, on the hills and the fringe of the hills, cannot be modified, that is, there is no additional construction potential. The height of the buildings is limited and does not alter the SAGAS project, which preserves the architectural and cultural heritage of the districts of Saúde, Gamboa and Santo Cristo. Three percent of the value raised through the sale of the Cepacs is mandatorily applied to the recovery of the region's historical and cultural heritage. At the site www.portomaravilha.com.br/cepac it is possible to calculate the number of Cepacs necessary for the execution of a given project, according to its location and use (mixed, residential or commercial). 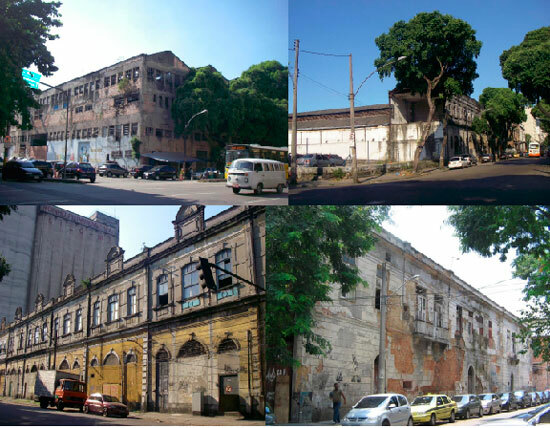 For a period of 15 years, under administrative concession, Porto Novo (a company belonging to Construtora OAS Ltda., Construtora Norberto Odebrecht Brasil S.A., and Carioca Christiani-Nielsen Engenharia S.A.) will manage the public services in regards to operation and maintenance, in addition to the revitalization works of the Special Urban Interest Area (AEIU) - Rio de Janeiro Port Region, apart from carrying out revitalization works in the entire area. Revitalize, operate and preserve, in an integrated manner, the Port Region Concession Area, for its social, touristic, cultural and recreational use, with efficiency, safety and reliability. setting up new underground infrastructure for public lighting, power distribution and telecommunications, as well as: 122 km of drinking-water networks; 84 km of sewer networks; 36.5 km of drainage networks; 11 km of drainage galleries; 26 km of gas networks. the foundation structure for the LRT. All of the networks will be underground, without wires/cables suspended in the air. The new standards for occupying the port region will provide Rio de Janeiro the experience of a vibrant city center, where modern and sustainable buildings are blended with the region's architectural heritage. Increased residential, cultural and commercial use will contribute to the development of the city in an inclusive and healthy manner. How will real-estate investments be made in the region? Those interested in investing in the region must purchase Cepacs from the Porto Maravilha Real Estate Investment Fund (FII), created by the FGTS and managed by Caixa Econômica Federal, which bought the entire stock of Cepacs, thereby ensuring resources for the Urban Operation. A part of the land is being sold by Porto Maravilha FII. Another section, which is owned privately or by public entities, can be negotiated directly with its owners, for the development of real-estate ventures. To create a standard in the undertakings, Complementary Law 101/2009, in addition to sustainable building standards, establishes criteria that make residential and hotel investments less expensive than those in commercial real estate. There are incentives for the recovery of buildings in APA SAGAS in order to encourage their integration within the new dynamics of the region. The real-estate projects are submitted to a working group of the Municipal City Planning Department, of which Cdurp is part, along with various other municipal entities. This group examines the undertakings from a legal point of view and for their adherence to the operation's principles. Are there tax incentives for investers? remission of outstanding IPTU debts for properties of historical, cultural or ecological interest, provided they are restored within 36 months. Complementary Law 101/2009, which created Porto Maravilha, makes provision for actions that integrate and promote the social and economic development of the population currently living in the region. The same law establishes that the region's tangible and intangible heritage must be recovered and enhanced and that at least 3% of the amounts collected from Cepac sales be invested for this purpose. To implement these actions, Cdurp created the Porto Maravilha Cidadão and Porto Maravilha Cultural programs. Their purpose is to formulate government actions and partnerships with the private sector to foment and support initiatives that promote the productive social inclusion of the population now living in the region, along with the enhancement of its historical patrimony. This strategy contributes toward strengthening the region's civil society. The Porto Maravilha Cidadão and Porto Maravilha Cultural programs are the links that complement the Urban Operation, showing that degraded urban areas can be recovered for the benefit of the local population as well as for the city as a whole.